Victims of all crimes as well as victims of domestic violence, sexual assault and stalking often become overwhelmed with sudden changes to their routines, emotional stress and financial turmoil. It is crucial that they get the answers to their questions and start to regain a sense of safety and empowerment. By working together with local community resources, we strive to provide the best resources possible to the critical needs of those who have been impacted by crime. 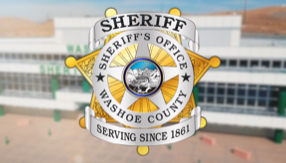 The WCSO victim advocate is able to step in and provide the emotional and practical support for the victim and their family. We work with the victim/survivor to assess their short term needs and long terms goals. Please note that a criminal report is not necessary to take advantage of these services. Click HERE for information on Temporary Protection Orders and Stalking and Harassing Orders for Survivors.